A presentation of state-of-the-art technology aimed to show the location of nuclear fuel molten debris at the crippled Fukushima plant in Japan ended in a flop, raising concerns about the $5 million project. Fukushima operator Tokyo Electric Power Co (TEPCO) tasked Japanese tech giant Toshiba to come up with a solution after the nuclear plant was hit by an earthquake and tsunami in 2011. After four years of research, Toshiba has developed a technology, which relies on muons in finding the nuclear fuel’s location. Those tiny cosmic-ray subatomic particles are capable of going through almost anything except for the heavy elements like uranium and plutonium used for nuclear fuel. The company plans to erect two tall walls right next to each reactor to shoot out muons through them to create an image of what’s inside – similar to medical X-rays. Previously, the muons have been successfully used to scan volcanoes, ship’s cargoes and even the Egyptian pyramids. But the technology’s presentation Friday turned into an epic fail as a programming glitch, which wasn’t fixed in time, prevented it from displaying any images of muons at all. Reporters who arrived at Toshiba's research center, near Japan’s capital Tokyo, only saw “huge equipment, metal with lots of wirings and blinking little lights, in a giant garage-like building, and on its side,” AP reported. The hardware shown to the press wasn’t the one to be later used at the plant, the agency added. 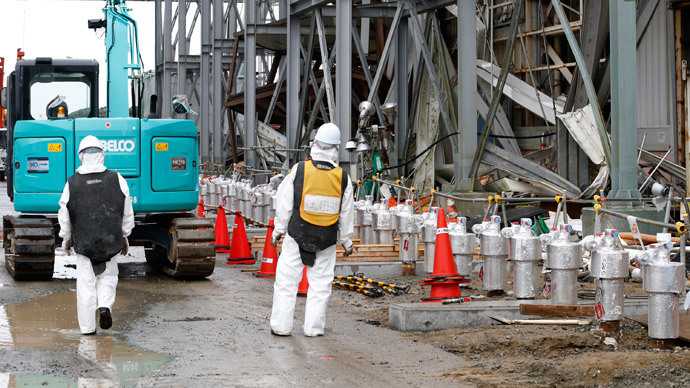 The location, state or shape of the nuclear fuel at the Fukushima reactors remain unknown, despite it being crucial for the plant’s decommission. However, the scan didn’t look at the bottom of the reactor where the molten fuel was likely to gather. Toshiba said it plans to complete setting up the “muon trackers” at the power plant by March 2016. However, Tadashi Yotsuyanagi, Toshiba’s muon project manager, said that the technology would not be able to get the complete image near the bottom of the reactor. The heavy radiation is likely to throw the sensors off and may also harm the health of workers erecting the walls, he added. Earlier this week, Japanese government auditors blamed TEPCO for wasting more than one-third of the 190 billion yen ($1.6 billion) in taxpayers’ money that the company received for cleaning up the plant. The auditors described a number of expensive machines and untested measures which were employed by the plant’s operator, but brought no result. They also said that the cleanup was dominated by a single Japanese company, despite calls from authorities for greater transparency and involvement of foreign experience. 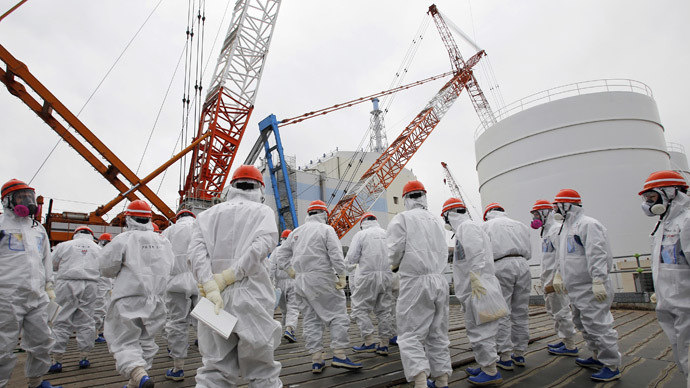 TEPCO replied to the allegations by saying that, despite some of the hardware operating for short periods of time, all of the equipment had contributed to stabilizing the plant.